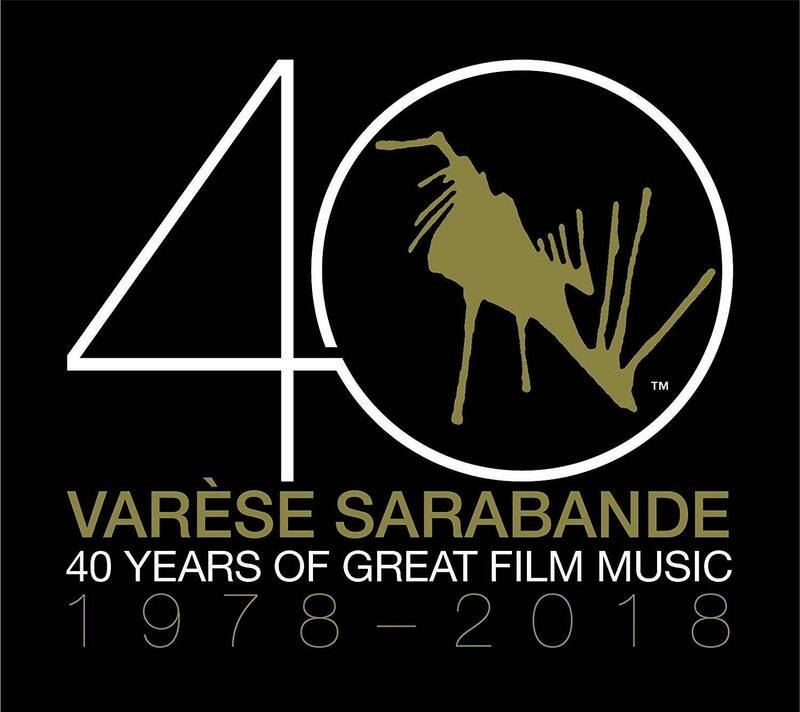 Although it started as a Classical Label, Varèse Sarabande quickly became a specialist Film Music label and is now the biggest Film Music record label in the world. 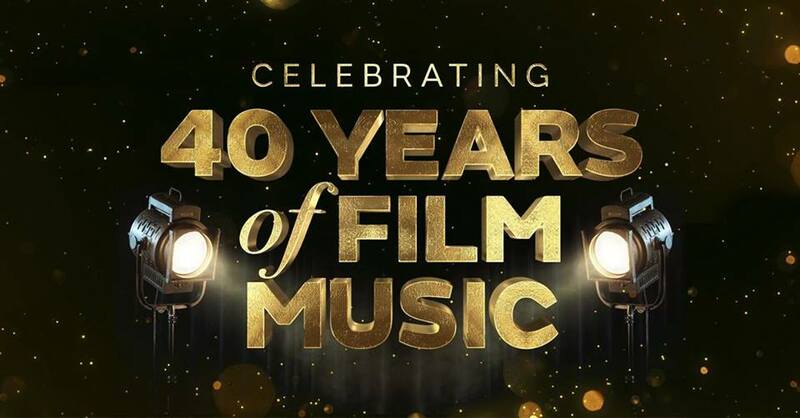 It was founded in 1978 so 2018 marks the label's 40th Anniversary. Robert Townson has been a producer with the label for many years and has worked with many film composers and orchestras including some memorable recordings with the Royal Scottish National Orchestra, the RSNO. Townson now has over 1400 albums to his credit and it is no surprise to learn that his is a very familiar name in film music circles. So it seems entirely fitting that Townson should select the programme for and present a celebration of the label's anniversary. 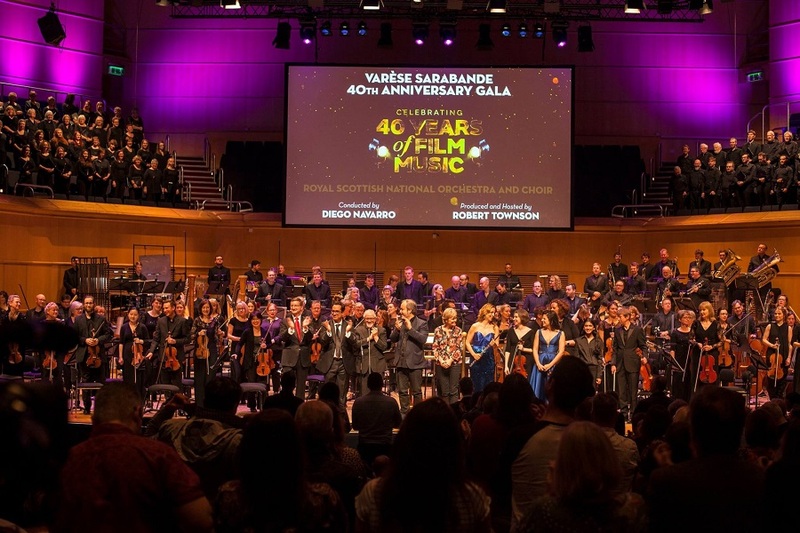 As a film music fan and a Scot I was very pleased that the Label chose to celebrate its anniversary with two concerts in Scotland performed by Scotland's National Orchestra. The RSNO is no stranger to film music, having recorded many film music albums and given many such concerts. Likewise I am no stranger to the RSNO, regularly spending my student grant on season tickets when I was a student back in the 1970s. It is always a pleasure to hear both their classical and film music concerts live. Diego Navarro was an obvious choice for conductor. He is a Spanish film composer himself, has conducted many recordings of film music for Varèse and other labels, and has also conducted many film music concerts. But more than this Navarro (who lives on Tenerife) is also the director and principle conductor for the Tenerife International Film Music Festival or Fimucité. The festival is an annual event which started in 2007. With such a huge back catalogue on the Varèse label it is a mammoth task to select a suitable celebratory concert programme. Townson chose to open each half of the concert with a medley which is an ideal way to set the mood and to showcase a range of composers who might otherwise have to be omitted due to time constraints. 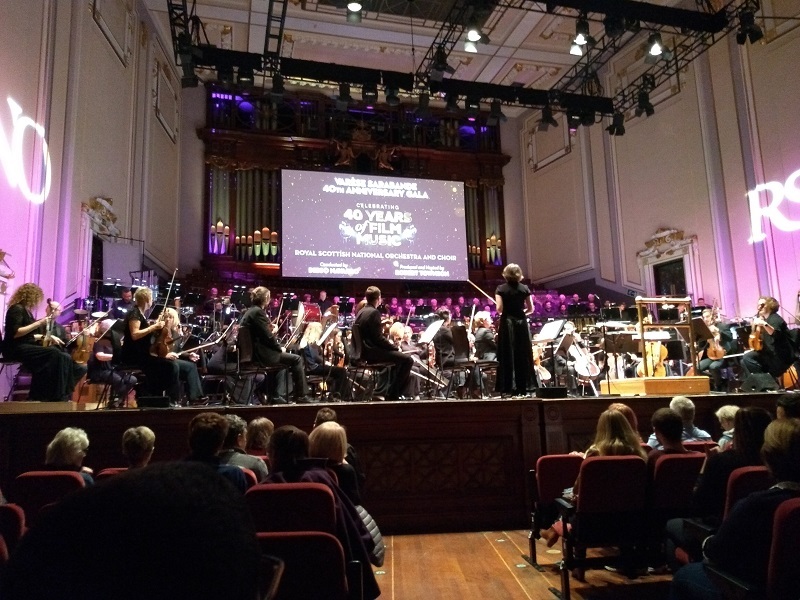 The concert also introduced 3 guest composers, Patrick Doyle (though sadly not available at the Edinburgh concert), Rachel Portman and David Arnold and the programme presented tracks from their films. 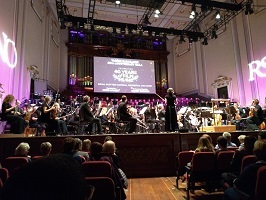 Each half of the concert also featured music by Jerry Goldsmith who clearly was a personal favourite of Townson's with a strong connection to the RSNO. 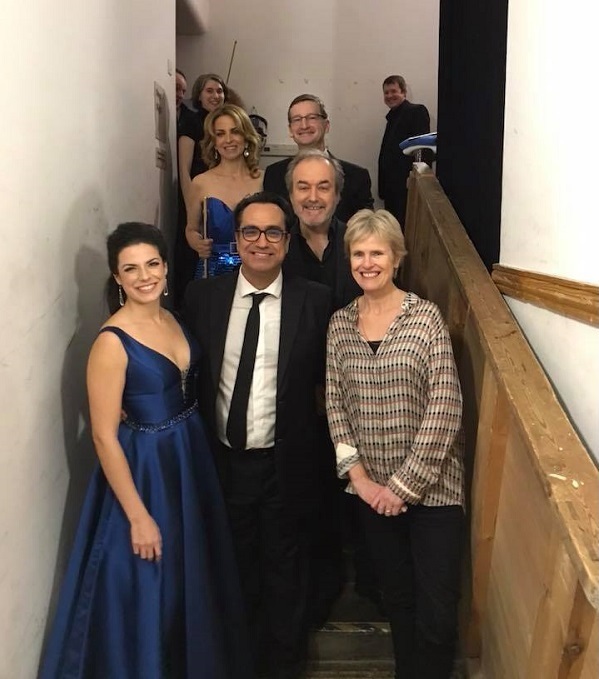 Each concert half also contained an arrangement for flute and orchestra, which not only shows the versatility of some film music in a concert setting but also gives the opportunity to feature the flautist Sara Andon. Andon is a versatile performer of many genres with a particular experience in film music, who has featured on Varèse recordings and concerts. Townson introduced the concert and individual tracks with a number of personal reminiscences from his career and the composers he worked with. The Guest composers also said a few words to inform and entertain the audience with anecdotes. To accompany the music, a range of video material and stills were presented on the big screen. The images included scenes from the films whose scores were playing, and photographs of many film score composers. There were a great many photos of film composers with Robert Townson himself, causing David Arnold to quip "Are there any composers who haven't been photographed next to Bob Townson" and "I'm sure I saw a picture of Beethoven in the National Gallery standing next to him too". And of course many photos were of Jerry Goldsmith and his time in Edinburgh. I was lucky among to be in the audience for one of Jerry's 70th birthday concerts back in 1999, an event which made a profound impression on me. When Townson talked about Scottish concerts with Elmer Bernstein and asked if anyone in the audience had attended these, mine was one of the hands raised since I saw Elmer's 80th Birthday Concert in Glasgow back in 2002. To summarise, the concert was indeed a great celebration of film music in general, and the music released by Varese Sarabande in particular. For me personally it was fantastic to hold this celebration close to home, in a country whose National Orchestra has also contributed much to film music. It was great to hear some familiar tracks live, and it was a pleasure to hear some new tracks for the first time including one composed by the conductor himself. 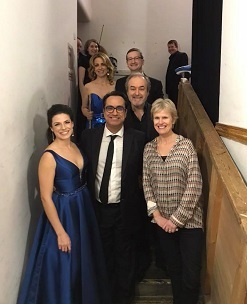 The composers, players, singers and soloists should feel very proud to have contributed to such a celebration and we can only hope that there will be other occasions to celebrate in the future. 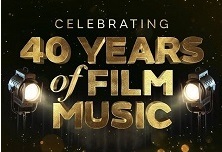 If you get the opportunity to attend a film music concert (and more are being scheduled all the time) then I would recommend the experience - you will definitely enjoy it. Now I wonder if I might be able to attend the Tenerife Film Music Festival next year...? 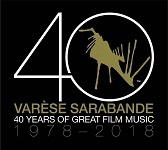 Addendum: There is also now a celebratory double-album to mark Varèse's anniversary, with tracks selected from their vast output over 40 years. Check out these links for details: Amazon.com and Amazon.co.uk.